Anyway, this is not a story to brag of past exploits or encourage dangerous behavior. This is a story of a company with absolutely awesome customer service: Rollerblade. So, a while ago, while still in NY, a buckle broke on one of my beloved skates. Below is a video the break. So first, erroneously thinking my skates are K2, I shoot K2 support an email. 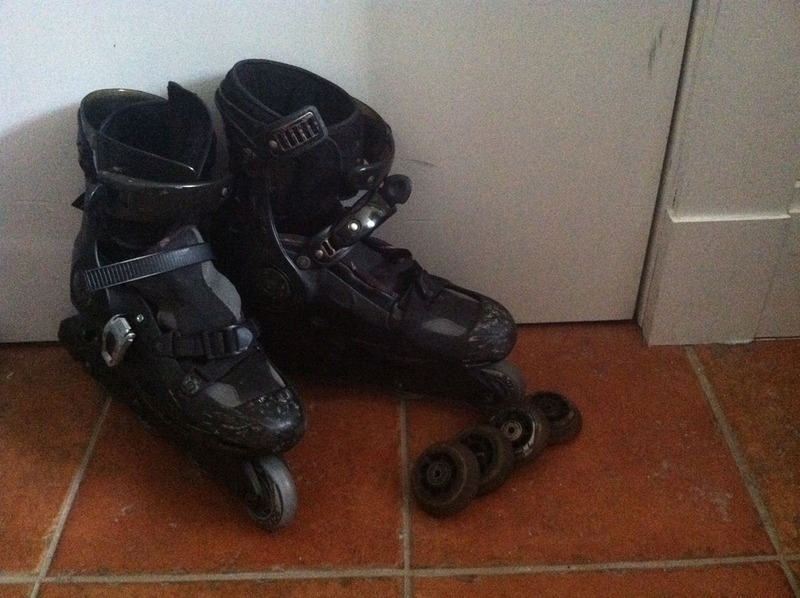 Their service was good – a quick reply that this is not their skate and that I should reach out to Rollerblade support. I did, and a nice guy by name of Will Meyer quickly responded asking me to send pictures. So far so good… Then he offered to send me a buckle. That’s nice. But the buckles on these are clipped on (can’t unscrew), so then he offered me to mail the skate so that they can fix the buckle… That’s even nicer. For free… We are getting dangerously close to awesome. So I go and mail in the skate and then I ask if I can buy new wheels while they are fixing the skate – mine (you can see them in the first picture) are really worn out. To which I get a reply that I can. And then I get the skate back with a “don’t worry about it, the wheels are on us email” along with a new buckle, a new set of wheels on the old skate and a new set of wheels for the new skate AND they paid the return shipping. Full-tilt awesome. I was shocked. They were nice, they took care of me, I felt appreciated as a customer and, assuming they stay a company that is this cool, I will remain a life-long fan.